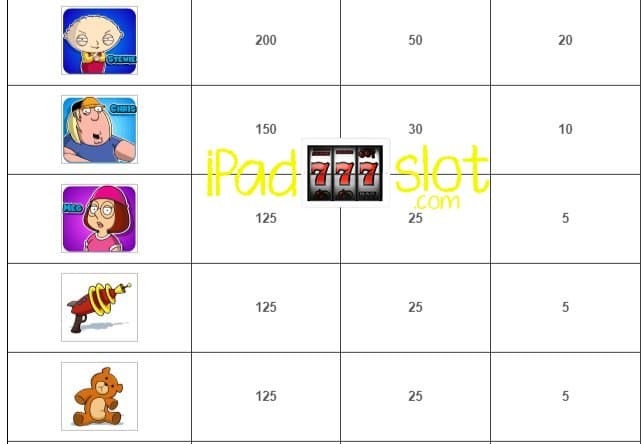 Family Guy 螺 IGT iOS & Android Slot Machine Game App Guide. Based on the tales of a modern family which tries, by all means, to project a good image to the outside world though every member of the family is battling his or her own demons. Family Guy resonates with many mature families around the world (if they have a sense of humor) hence the reason why it is so popular with viewers and hated by many also for it’s style of saying the wrong thing (even when it’s true). Due popularity of this cartoon sitcom, world-renowned game developers IGT decided to come up with a branded Family Guy game. 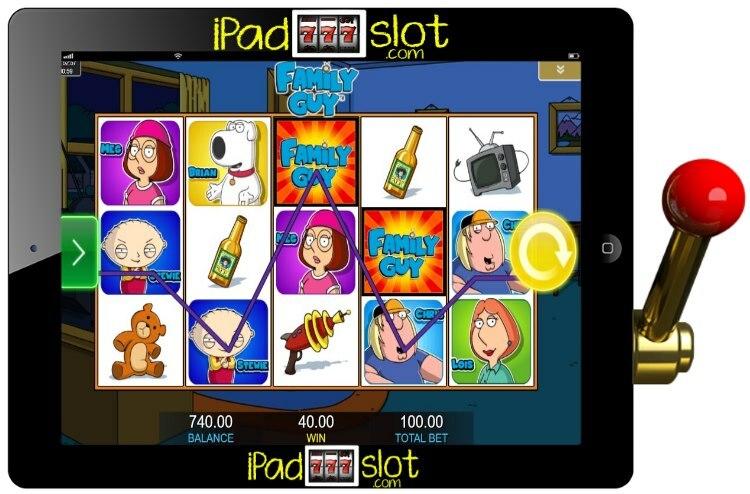 For more about this slot continue reading this review we may even have Family Guy to play free here. However, before we jump into details, just remember that Family Guy has five reels and 30 paylines of fun and humour. The background of this online slot machine depicts the inside of a standard American home. The reel section is covered by a solid white colour so it looks really clean and simple. When spinning the five reels of Family Guy, players will encounter the following symbols: the Family Guy game logo icon, Peter, Lois, Brian, Stewie, Chris, Meg, a model rocket, a teddy bear, a television, and a bottle. 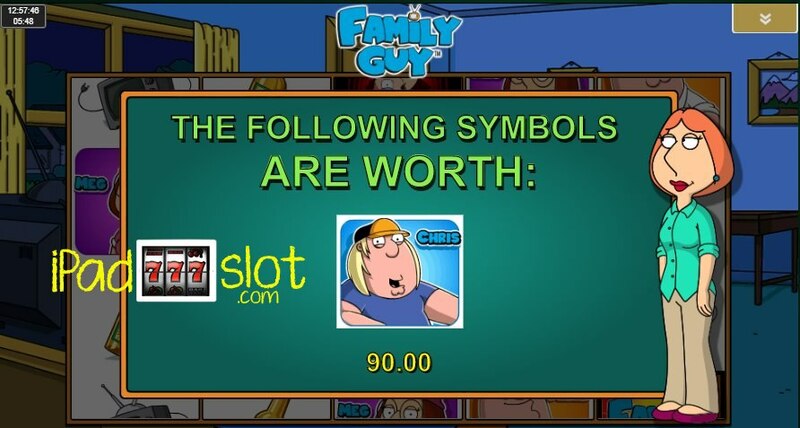 Family Guy Game Logo icon: The highest paying icon in this game is the family guy game logo icon. For matching five of these the player wins 500 credits, for matching four of these the player wins 200 credits and for matching three of these the player wins 40 credits. Peter and Lois: The second highest paying symbols in the game are Peter and Lois. For matching five of the same kind the player wins 250 credits, for matching four of the same kind the player wins 75 coins and for matching three of the same kind the player wins 25 coins. 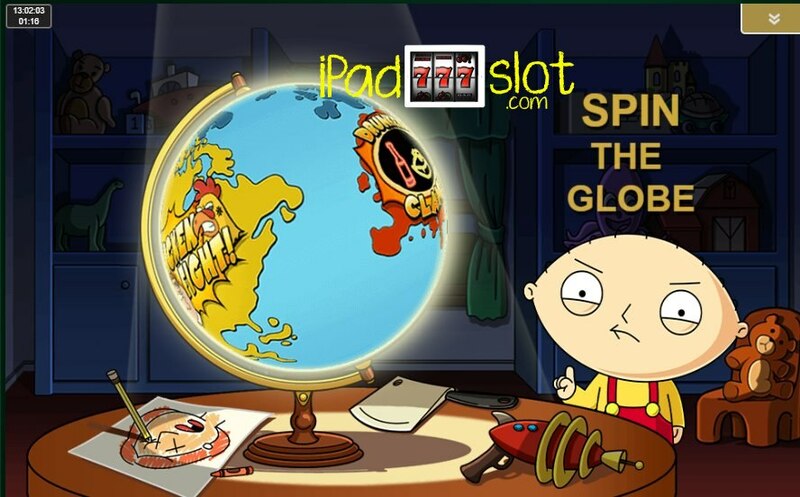 Brian and Stewie: The third highest paying symbols in this slot are Brian and Stewie. For matching five of the same kind the player wins 200 credits, for matching four of the same kind the player wins 50 credits and for matching three of the same kind the player wins 20 credits. Chris: The fourth highest paying symbol is Chris. For matching five of these the player wins 150 credits, for matching four of these the player wins 30 credits and for matching three of these the player wins 10 credits. Meg, model rocket and a teddy bear: The fifth highest paying symbols are Meg, a model rocket and a teddy bear. For matching five of the same kind the player wins 125 credits, for matching four of the same kind the player wins 25 credits and for matching three of the same kind the player wins 5 credits. A TV set and a bottle: These symbols are the lowest paying symbols in the game. For matching five of the same kind the player wins 100 credits, for matching five of the same kind the player wins 20 credits and for matching three of the same kind the player wins 5 credits. 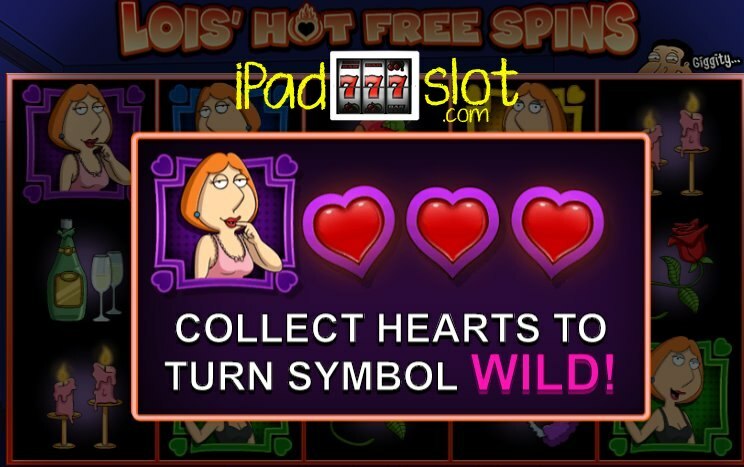 Wild: The wild symbol in this slot game is represented by the Family Guy game logo icon. Scatter: The scatter is represented by the World Bonus icon. Drunken Clam: Player has to select a character and stands a chance of revealing a hidden multiplier prize which range from a 25x to a 1000x multiplier. Chicken Fight: Player is asked to pick a fighter. The player’s fighter is involved in seven rounds of fighting and whenever he wins, the player wins a cumulative multiplier prize. 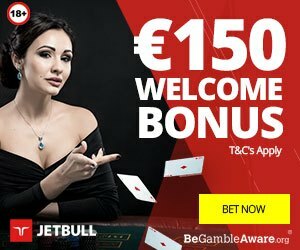 Lois’ Hot Free Spins Bonus: Player wins 10 free spins which can be retriggered. Peter’s Feature: Player wins a random prize of a 200x to a 5000x multiplier. Stewie’s Feature: Up to three wilds are added onto the reels. 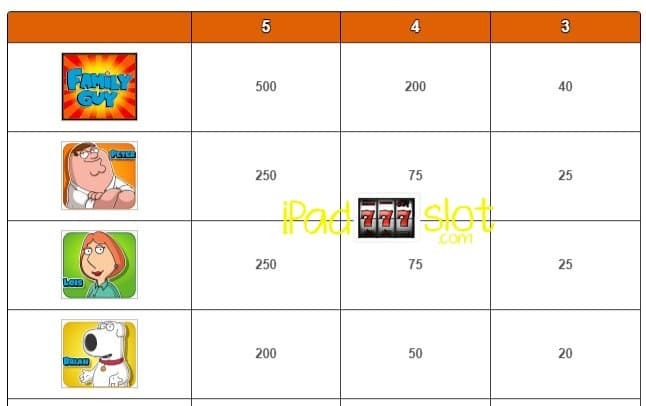 Lois’ Feature: Player stands a chance of winning a random multiplier depending on the symbols highlighted. to trigger the World Bonus. Family Guy has left no stone uncovered with its crude, twisted and very politically incorrect satire since the first show in 1999. This cartoon features the upside-down life of the Griffin family. The main stars are Peter and his loving wife Lois who live in Quahog, R.I. This is a fictional city in Newport County, Rhode Island. The Griffin family has three kids. Meg, who is the oldest is a social extrovert, the teenage kid Chris is awkward and has no idea when it comes to girls. The youngest of the kids Stewie is a kid wanting to kill his mother and destroying the world as we know it. The dog aka Brian who can talk, keeps Stewie in balance while drinking martinis in one really funny TV show. 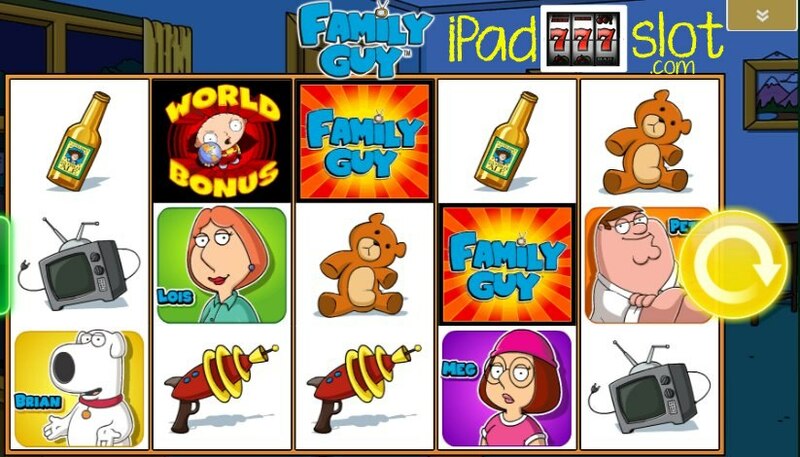 Family Guy is an interesting IGT slot game to play which comes with a nice assortment of bonus rounds. The RTP of this slot range from 92.50 to 96.05 percent. Out of a 10 point rating, this slot game gets an 8.2 point rating in our game guides of TV and Movie themed slots.